This is more for peace of mind, than anything else, so feel free to take your time responding. I can run approximately a 275 PFT (I vary from around 270 to 285). However, while working out in a local gym, someone who used to be a Marine told me that I do not have the ‘look’ of a 2nd LT. Not a attractiveness comment, but rather, I was too skinny. (This guy is a former translator who worked with Marines in Iraq). Now, I know that physically I can perform, but I wondered how my 6’0″ and 164 lb frame stacks up to other Candidates/Lieutenants? It won’t effect my desire to enter the Corps as an officer, but it will change the way I work out if bulking up is a necessity. We know a respected Lieutenant who personally has only 4 pounds on you and 4 MORE inches of height. They used to say there are two kinds of Marines: Rottweilers, who are big and mean, and Dobermans, who are skinny and mean. With a solid 275 PFT, looks like you will be a Doberman Marine soon. Don’t let it get in your head. 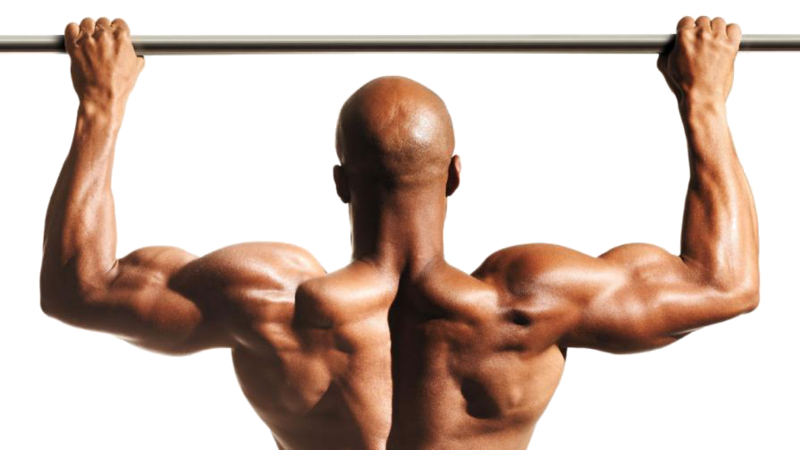 Next person who tells you that you don’t look strong, challenge them to a pull up competition. Then win it. Cardio is the key at OCS, so that could be your “skinniest” stage of your career, and that would be fine. Just make sure that you stand up straight and carry yourself with confidence. It doesn’t matter if you are skinny (or short) if you are the biggest Alpha male in the room. 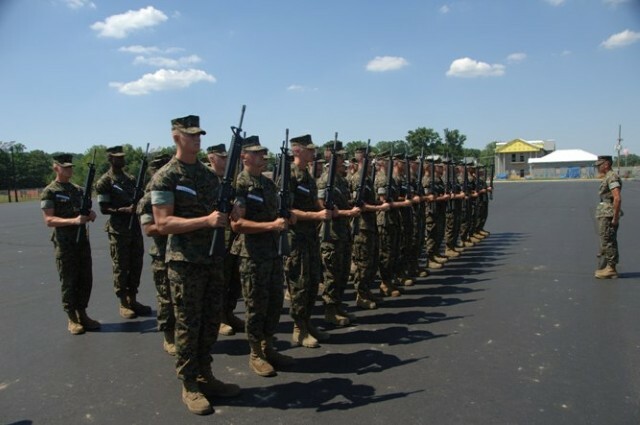 The Marine Corps needs ethical Alpha males for its officers, not big, short, wide or skinny Marines. Once you have great cardio to succeed at OCS, check out 300PFT.com for a workout that got my friend lots of muscle in little time, the natural way. One of my good friends from college and PLC was about 6’1, 150 lbs. He was a runner that did the 3 mile in around 15 minutes. As long as you can do the PT and humps, you’re fine. In fact, some of the big, strong, football player types had a harder time with the running and endurance areas than the skinnier guys. Just like Greg said being tall can help quite a bit if you make it work! I attended PLC Juniors this past summer (2013), and I am just shy of 6’2″, about 145 soaking wet, and I did just fine there. There are lots of benefits to being tall and skinny, climbing obstacles is easier generally, you will probably have success running, and the biggest one for me was that no body fat will help you handle heat significantly better than other, heavier set candidates. Generally, I was the last person in my platoon to end up with a sweat soaked uniform, and some days I was the only one taking off a dry blouse. The biggest struggle I had was the pure power exercises, particularly the Ammo Can lifts of the CFT and going up hills on the humps. Practice running in boots and utes, because if you’re like me, you are probably more sensitive to weight being added to your body as you run! Strength-based leg and upper body exercises can help this a lot, as well as rock climbing! Strangely enough, it gives you great finger and forearm strength, which gives you a death grip on your rifle, the rope you are climbing or obstacle you’re traversing that you wouldn’t believe, and you’ll never have trouble hanging on to a pull-up bar again. A candidate was worried about being too skinny to be get that butter bar. I went through OCS jrs. in 2016 at 5’10” 135lbs. I graduated from there at 150lbs due to the fact you have to force feed yourself. Same thing with seniors. Went there at 140lbs and graduated at 155lbs. I’m still a skinny guy at 152. I have gone through TBS and made it to the fleet and what matters is that you can lead by example whether you are 130lbs or 220lbs. If you can lead your marines by example of doing the right thing and executing your job the way it needs to be done, they will respect that a lot more over if you’re a 6’1” 190lbs peak physical form but have no confidence in yourself and not sure how to lead. That’s just my 2 cents from recently making it to the fleet.